Halloween is just around the corner! Have you decided what you’re going to be yet? Kramer and I never really got into the Halloween spirit until we moved to New York, where people really get into it. I think that is has something to do with the fact that you don’t have to worry about driving here, which was always a concern of mine on major (drinking) holidays when we lived in Phoenix. I never wanted to venture out into the world on those nights because you never know who is behind the wheel of the cars around you. Now that this is no longer a concern of mine, though, I can go out and feel free to wander around without worrying about getting safely home. I’ve been Han Solo for the past few years, which is a costume that Kramer helped me lovingly put together, including handmade blood-stripes on a pair of blue pants, but this year we’re going to be in Mexico for a friend’s wedding, so we wanted to find a costume that is easy to pack (obviously the rehearsal dinner is Halloween-themed with costumes required). 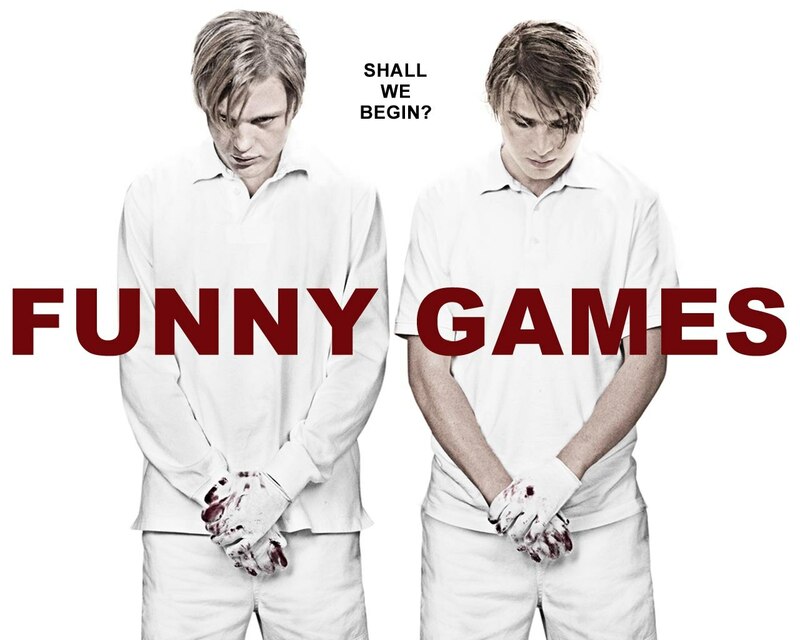 We ended up landing on the two main characters from Funny Games, which is itself a scary movie, making it perfect for Halloween, plus the people we are dressing up as wear white shorts and white shirts – excellent beachy Mexico attire, don’t you think? I have a feeling very few people will know who we are, but the resort said that they have golf clubs that I can borrow to carry around all night and add to the costume. It’s an easy outfit to pack in a carry-on bag, too. It’s a win-win-win. Anyway, we’re off to Mexico early Wednesday morning, so I’ll probably be M.I.A. until Tuesday or Wednesday of next week. Just a walk in the park.This past Saturday, Kramer and I rallied the troops for a Battle of Brooklyn scavenger hunt that we found through the Historic Districts Council. The quest started in Green-Wood Cemetery, then into Prospect Park, and finally ended at Old Stone House. It was a lot of fun to explore parts of that area that I had never seen before, as well as a great way to spend some time outside while it’s not absolutely freezing. The weather was perfect and we were able to get eight people together for the scavenger hunt, so I’d say it was a great success. Our team even ended up winning third place! Which, considering how short all of our attention spans are, is a great victory, indeed. We gathered at The Gate for some celebratory beers, then even more celebratory flaming drinks at Zombie Hut. To get into the Halloween spirit, the rest of the group headed over to Nitehawk to see Carrie and get some food. I thought the remake was great, and Chloe Moretz was awesome, as usual. With Halloween around the corner, the temptation to buy lots and lots of candy is overwhelming. I still have an entire bag of Twix in my cupboard, but I had to do something with the two bags of Reeses peanut butter cups that I bought, as those are an even bigger weakness of both Kramer and myself and we would have slowly, but surely, devoured both bags without even realizing it. I figured I would do something simple, so a peanut butter blondie was born with plenty of roughly chopped Reeses folded into the batter. The blondies themselves were nice and chewy, with a bit of a crunchy crust and plenty of peanut butter flavor. Kramer absolutely loved them, and I didn’t seem to think they were so bad myself, as I kept nibbling on a corner here or a middle piece there as I cut them into bars to take to work. You can really put any candy in these, obviously, but I think Reeses are the best Halloween treat. Kramer enjoying the changing leaves. And figuring out which direction we were supposed to be headed in. Press your batter into your prepared pan – it will be very thick. Then bake, cool and eat! Pre-heat your oven to 375 degrees F. In a mixing bowl, beat together the brown sugar and melted butter until well combined - be sure to beat for at least 3 minutes. Add in the peanut butter, beat until well combined, then add in the eggs one at a time, scraping down the sides of the bowl as needed. Beat in the molasses and vanilla. Add in the flour, about ½ cup at a time until combined, then the salt. Roughly chop your peanut butter cups and fold them into the batter. Line and/or grease a 9x13-inch baking pan, then use your hands to spread the batter into the pan (the dough will be thick and you will have to use your hands). Bake for 40 minutes, then remove the pan and cover it with foil to protect the top of the blondies from burning, then bake for an additional 10-15 minutes, until set. Allow to cool completely before cutting into bars and serving. Reese’s Peanut Butter Cups are my all-time favorite candy. I am dying for one right now! Whoo hoo…these look totally crazytown good! Couldn’t agree with you more–Reese’s rule!! Happy haunting!! These blondies are straight up perfect! Yum! I’m going to bake these for my shipments because I think I may have a lot of leftover candy with the weather forecast. Love those fall photos, and those blondies as well, it all looks fabulous!! I love that these are like a thick, reese’s studded chocolate chip cookie. That’s the only kind of blondie I can get behind. OH man, oh man! These are my favorite! I may need to make these tonight. Even the title got me, much less your beautiful pictures! They sound and look delicious! I am making these this weekend once the Halloween candy goes on sale ;). YUUUM. Pb blondies are the best! Have fun in Mexico! This may be a stoopid question b/c I don’t make brownies as a rule, but is there no leavening in these? No baking powder or soda? Nope, you don’t need it! They don’t really do a whole lot of rising. I made these over the weekend and they’re truly sinfully delicious. I used a little less sugar, mixed in some whole wheat flour with the white, and added both semi-sweet & peanut butter chips in the batter and sprinkled on top. I also didn’t have molasses, so I used maple syrup, and I only had creamy peanut butter, so I mixed in 1/2 cup crushed pecans. I know you’re probably thinking, “she didn’t make the same thing at all!” but honestly I think that’s what makes this recipe so great – it’s very customizable. So thanks for the awesome baking inspiration; these bars are definitely going to be a standby for me. These look great! Unfortunately you can’t get peanut butter cups here in Ireland so you have to make them too. That tour sounds great, we visited Prospect Park and read about the civil war there in April, had no idea it came so far north!